It is common for people to enjoy quick talks or even discussions over a glass of drink. Drinks usually are present on any occasions. It became customary for people to have drinks over parties, gatherings, and any events. 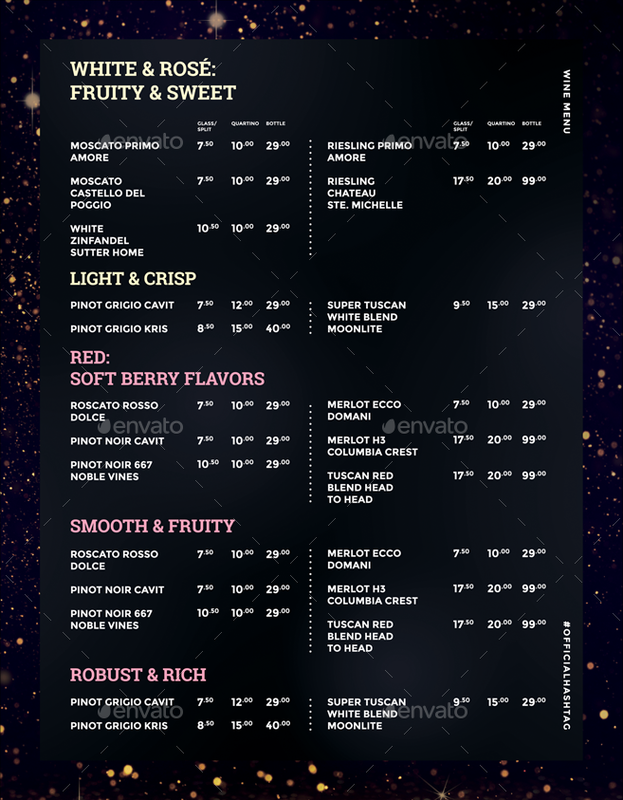 More popularly, it is not uncommon for restaurants and bars to have a drink menu that would perfectly complement their food menu. 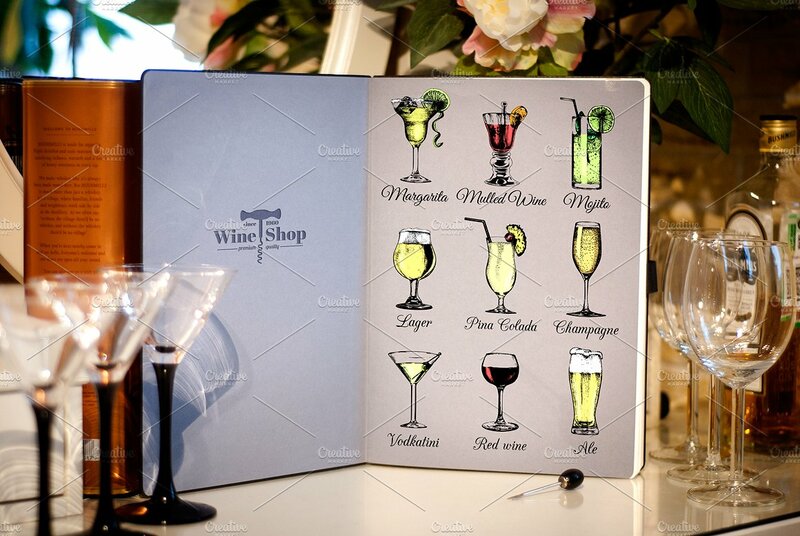 Among the drink menus offered is the wine menu. 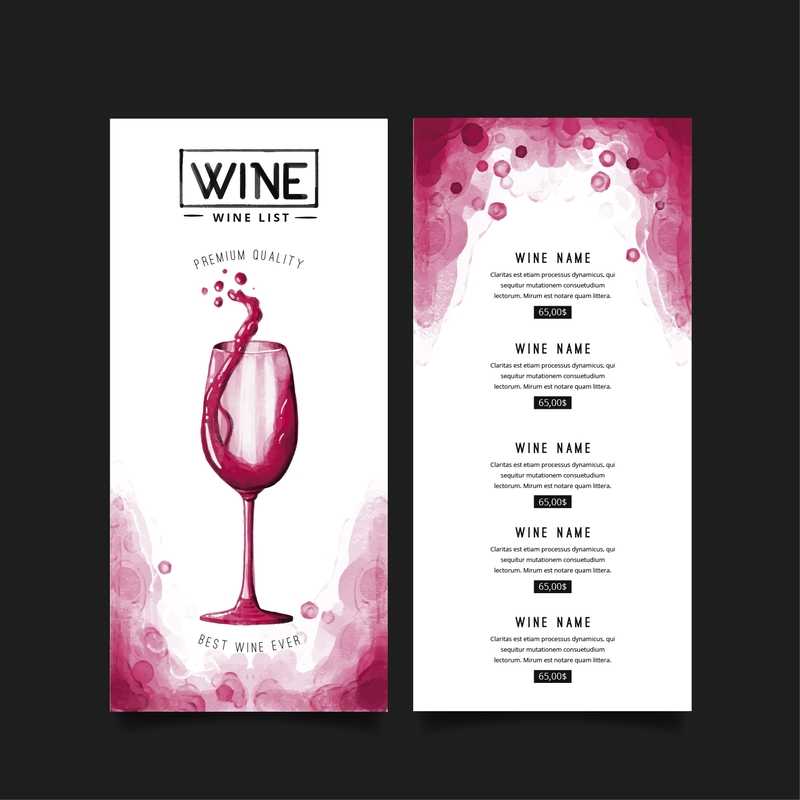 Wine menus are specifically designed to showcase wines. Just like any other drink, there are so many variations of wine. You can even experiment with your wine to make it more unique than any others and to top all competing businesses. 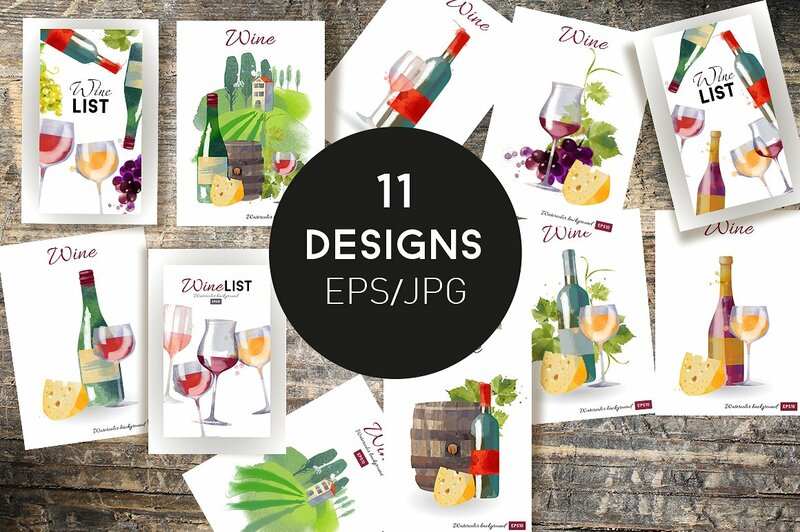 Marketing your wine may not be as hard as you think if you only know how to launch your wine in a creative way. People would usually seek for something new; their thirst for something novel can be quenched by novel ideas that a business can offer. 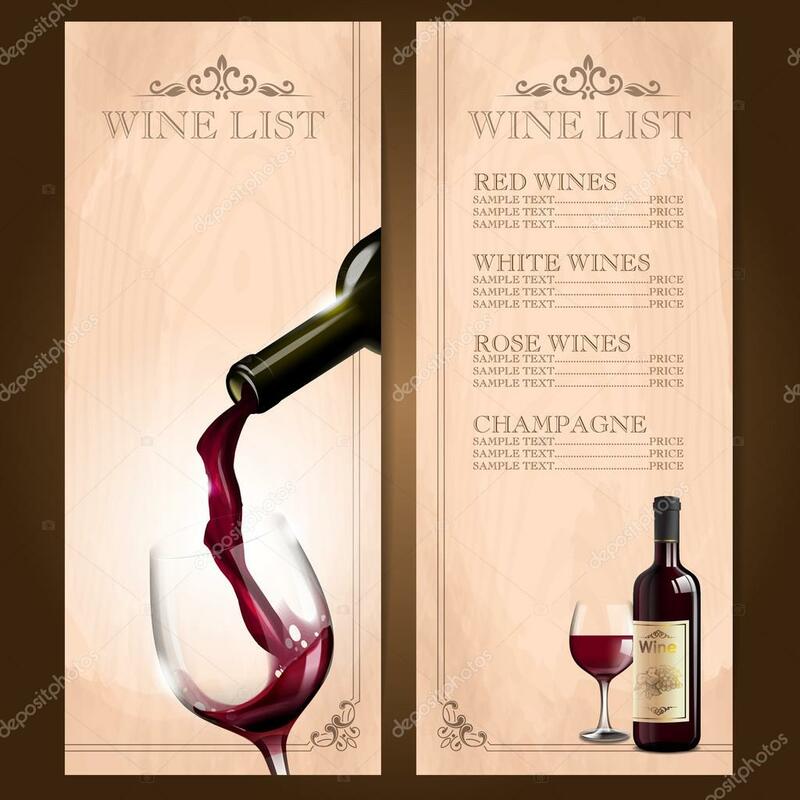 If you are thinking of creating your drink menu, here are few samples of wine menus that would hopefully cater your preferred taste for wine menu designs. Red wines come from a variety of dark-colored grapes. The actual color of this wine range from strong violet to brownish color through time. Its alcoholic content ranges from 12% to 17%. It is also believed that it is used for disinfecting wounds, treating symptoms of diarrhea, fighting diabetes, and other medical treatments. It also contains antioxidants that have anti-aging and heart-healthy benefits. 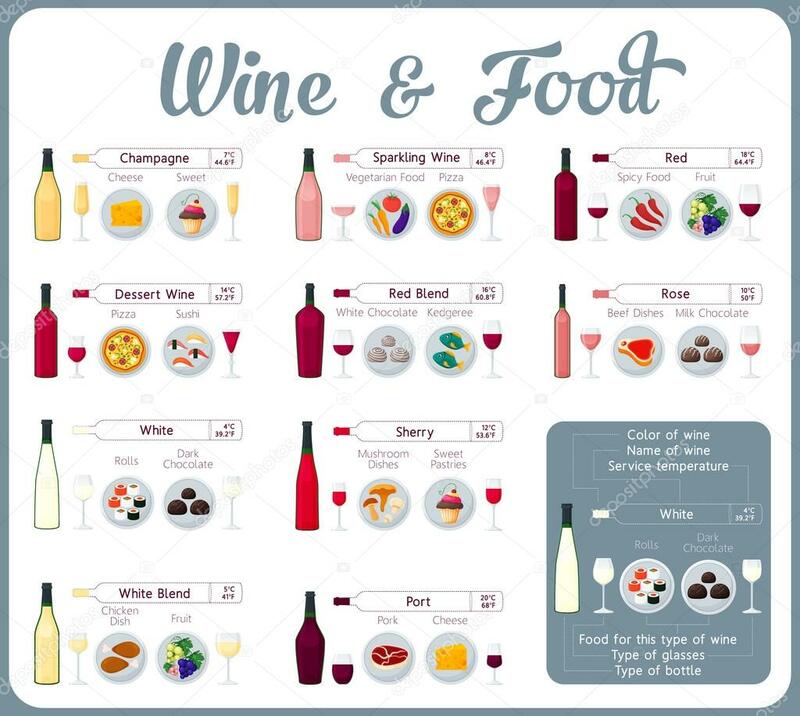 There are actually different types of red wine. Among these types are as follows. Syrah – This is also called Shiraz. This type of wine is among the commonly produced wines in the market which has intense flavors and can usually last long and be stored for a longer duration. Merlot – This wine has a plummy and chocolatey taste. It is said that this wine can be very smooth and easy to drink—the reason why many wine drinkers would recommend this to someone who is new to drinking wines. Cabernet Sauvignon – This is one of the world’s most widely recognized red wine grape varieties. Its flavor is associated with that of a green bell pepper. Other known flavors similar to cabernet sauvignon are mint and eucalyptus. Malbec – This wine has a plum-like taste and is usually rich and dark. Although some wanted a really intense taste of wine, many prefer this kind of wine because it can be stored for a long time. Zinfandel – This wine tastes like a fruity candy at first sip and then followed by a tingling spice and ended in a tobacco-like smoky finish. It has higher alcohol levels than other red wines. Its alcohol level ranges from 14% to 17%. Sangiovese – Sangiovese has an earthy and rustic taste with hints of oregano. It has a smell similar to dried cherries, figs, and roses. Barbera – It has a strawberry-like taste with sour cherry that makes it so juicy and exploding to the taste buds. This type of wine mostly comes from Italy that adopted herbaceous flavors. 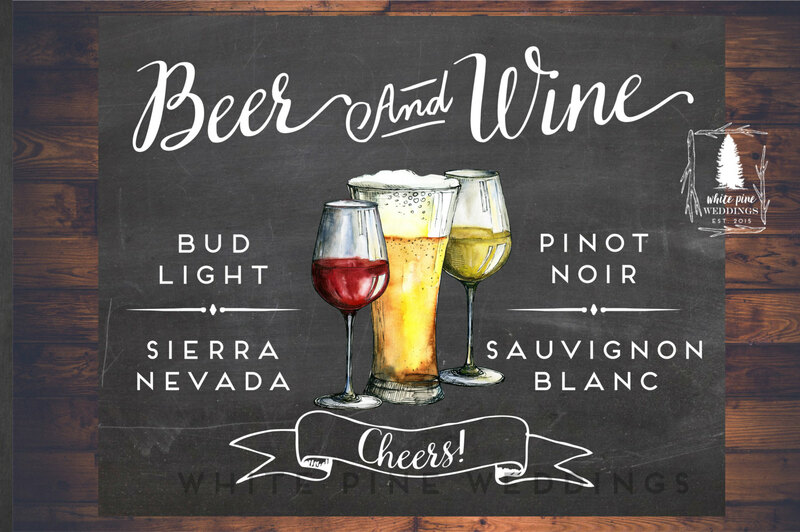 White wine is produced from the non-colored pulp of grapes and which may come in different colors—straw-yellow, yellow-green, and yellow-gold. This wine is usually lighter in taste and can be served during the meal, with a dessert, or as a refreshing drink between meals. It can also be used in cooking because of its acidity, aroma, and ability to soften meat and deglaze cooking juices. According to a research from the University of Barcelona, white wines have antioxidants which help prevent cancer. Another research also said that white wines are beneficial towards achieving weight loss. Additionally, and more amazingly, white wines could help prevent brain disorders such as dementia and Alzheimer’s disease because of its compound called phenolic acid. Just like red wines, white wines also come in different types. Chardonnay – One of the most popular white grapes through the 90s, this kind of grapes can be produced into a creamy, toasty, and buttery flavor wine. It has commonly an appealing and delightful taste. Sauvignon blanc – Its smell and taste can be compared to that of bell pepper or freshly mown grass. You can also taste the sensation of apples, pears, gooseberries, melon, mango, and blackcurrant. Moscato – It has a musky aroma and is often sweet and fruity. Pinot Grigio – Almost similar to Moscato, pinot grigio has a sweet and often fruity flavor. It suits well for Thai or spicy Chinese food. Gewürztraminer – A very aromatic type of wine, you can taste its fruitiness similar to that of rose petals, peaches, lychees, and allspice. Riesling – This wine has a very light taste and a very fresh aroma. It is usually sweet with (or sometimes without) steely acidity for balance. Fruit wines, as the name suggests, are wines that are produced from fruits other than grapes that may also contain additional flavors flowers and herbs. Most fruits can be processed into wines through the process of pressing, stewing, and fermenting the pulp. Some wine producers would add sugar or honey to somehow dilute its alcoholic taste. Some of the typical wines that come from fruits are as follows. This wine is made from fermented rice starch that has been converted into sugar. Its usual alcohol content ranges from 18% to 25%. There are so many types of rice wine. Several of these are as follows. This is a light wine more similar to some white wines but is more refreshing than red wines. Rosé wine may also vary from bone-dry to slightly sweet, depending on the mixture of its component. It is basically made by pressing grapes right after harvest or crushing the grapes and letting them in contact with the skin before separating the juice from the skin. This is a type of wine that is perfectly fit with desserts. This is sometimes called pudding wines. Few examples are as follows. Moscato d’Asti – It has an aroma that can be compared similarly to that of perfume, Asian pear, and peach, which is perfect to drink with cakes and other pastries. Tokaji Azsú – This is a richly sweet golden wine with a delicate taste of saffron and ginger. Sauternes – Upon resting in between your palate and tongue, it has a mild flavor of quince, marmalade, honey, ginger, and spice. Beerenauslese Riesling – Just like a honeycomb, it has a sweet and textured taste. Ice Wine – It needs yeast and a long time to ferment. This wine is so sweet but with lots of balancing acidity. Rutherglen Muscat – This is a sweet wine with rich aromas of toffee, dried strawberry, and hazelnut. Recioto Della Valpolicella – This is a rich sweet red wine that has a cherry-like taste with a subtle touch of chocolate. 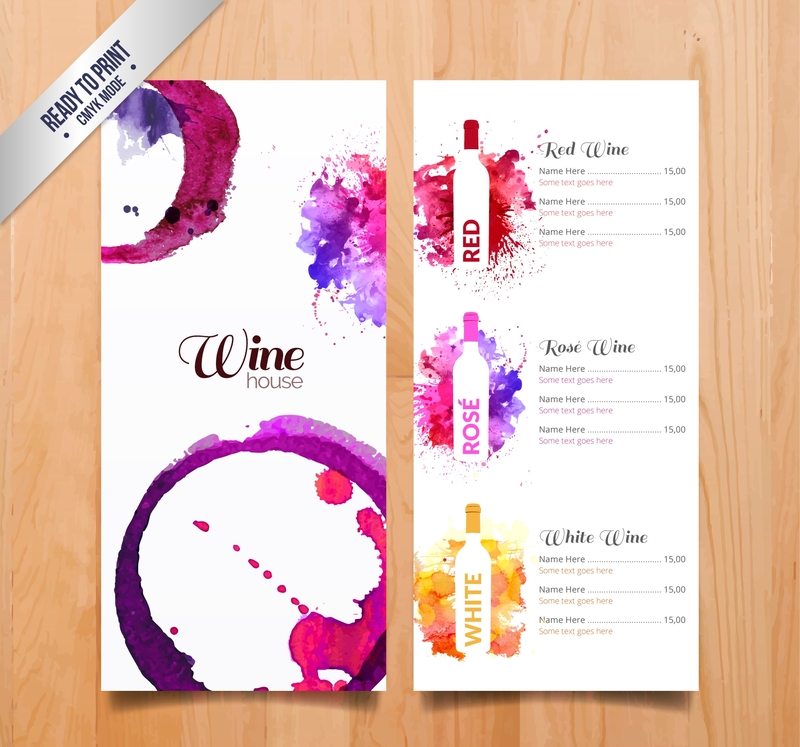 In a bar or a restaurant, your menu can help you greatly in guiding the customers on the available food or drink your restaurant can offer. 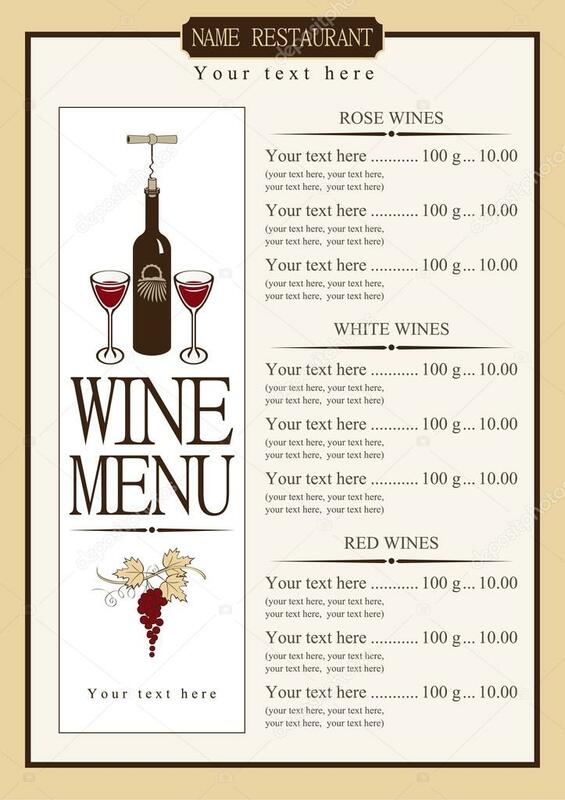 Just like any other menus, having a wine menu helps a guest, visitors, and customers in their selection of your drinks. Curiosity may arise to some people who are new to the kind of wine you are offering. 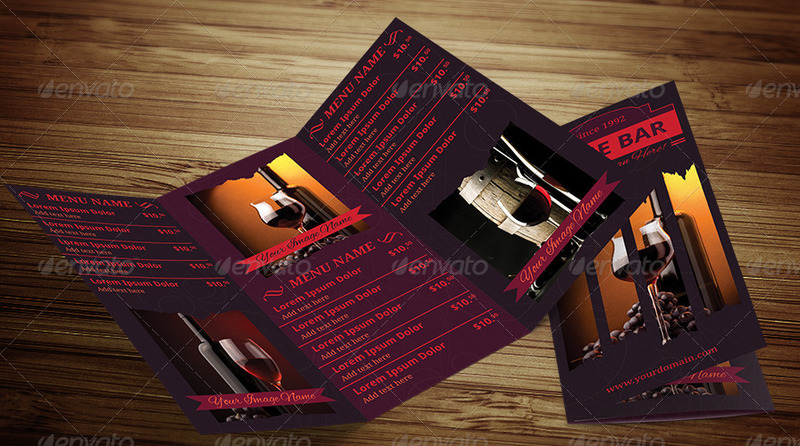 With this, you can allure customers in tasting your wine or attract people to the drink you are offering. 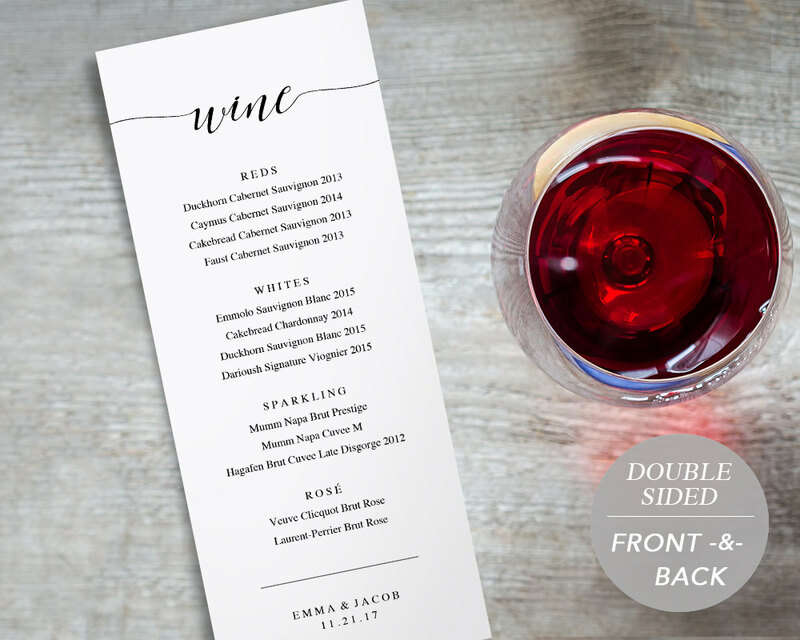 Don’t forget to make your menu elegant, presentable, and classy. 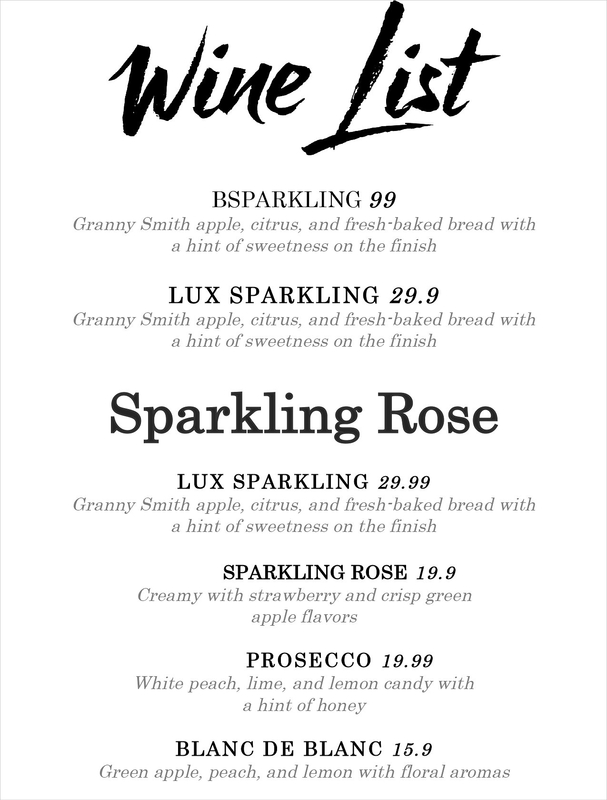 Make sure you are creating an eye-catching menu!